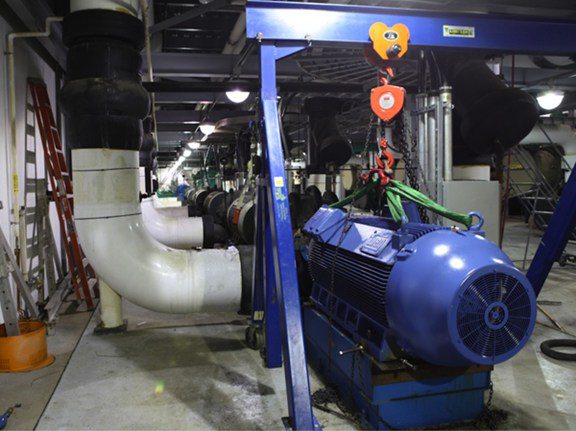 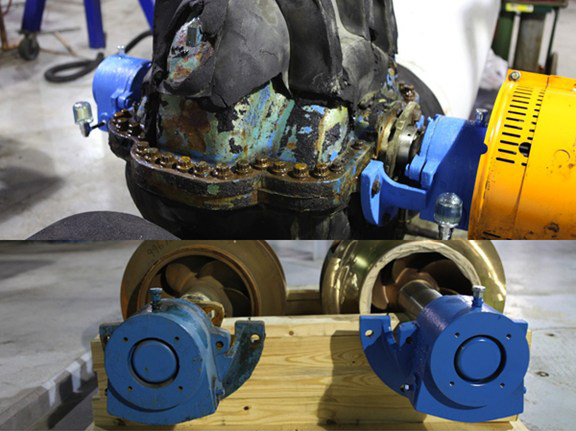 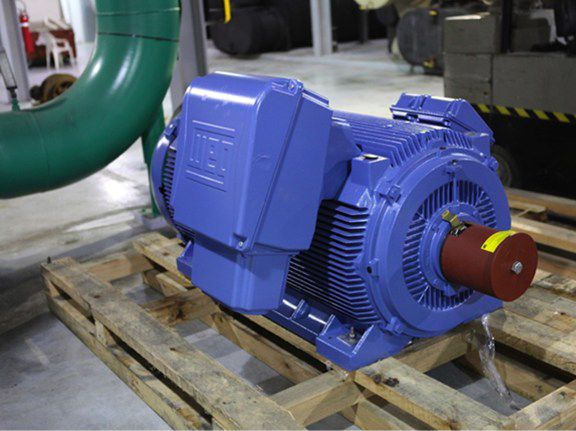 The Nashville District Energy Plant is currently completing a $600,000 upgrade to the six chilled water pumps that distribute chilled water through the downtown system. 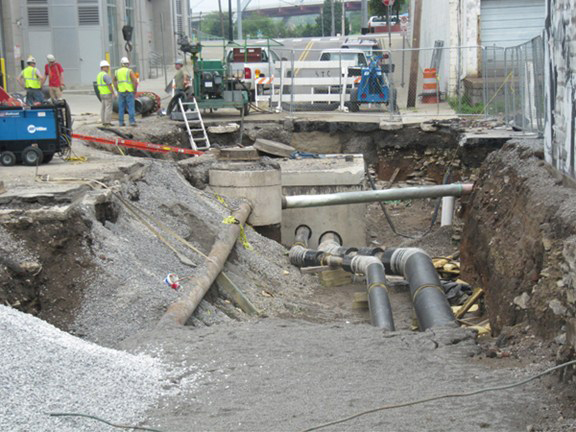 The modifications were necessary to increase the plant’s capacity to deliver chilled water to facilitate the new load from the Music City Center. 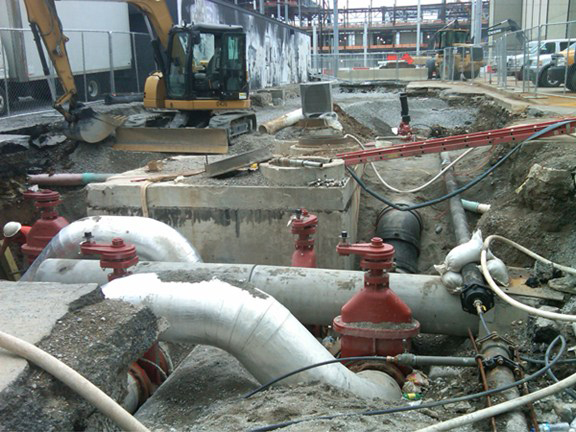 The new convention facility will use both chilled water and steam from the District Energy Plant. 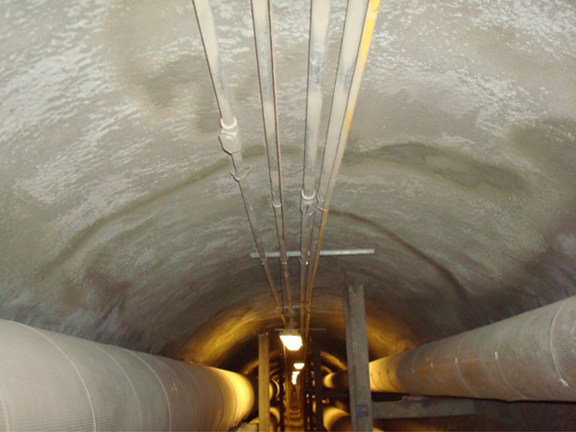 The Metro Nashville DES distribution system consists of approximately 4 miles of trenches and tunnels with 84,000 feet of piping. 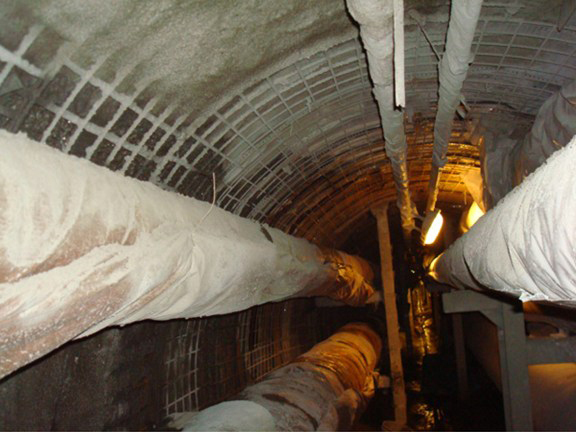 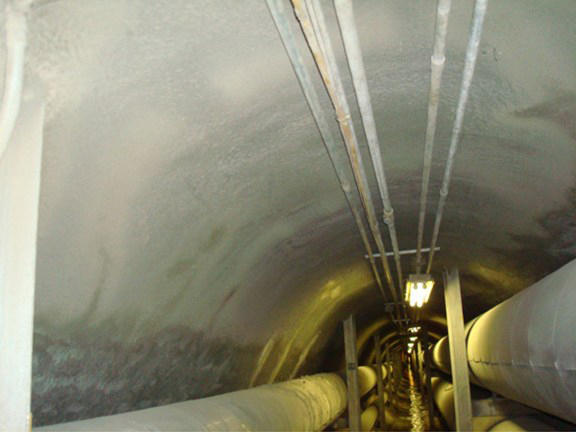 Of this total, approximately 5,800 trench feet is contained within the system’s main tunnels below Broadway (2,100 feet), 4th Avenue North (2,000 feet) and 7th Avenue North (1,700 feet). 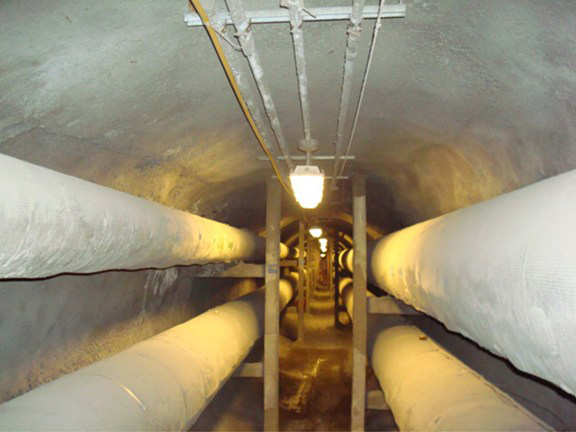 These tunnels were constructed during an expansion of the distribution system in the mid 1980’s and are quite remarkable. 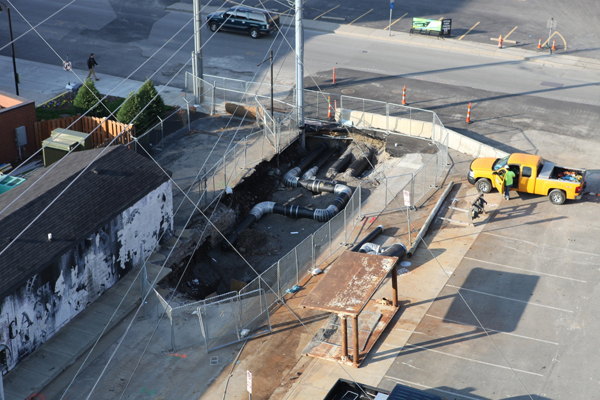 Large boring machines drilled 8 foot diameter holes through solid rock 40 feet below the City of Nashville. 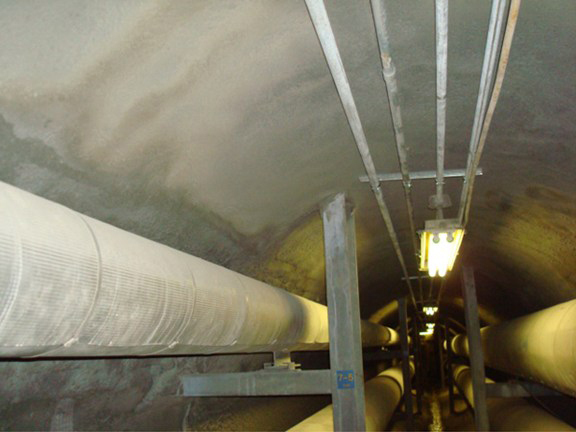 Since the tunnel construction, ground water and water from naturally occurring springs in the area has always seeped through the rock and into the tunnels. 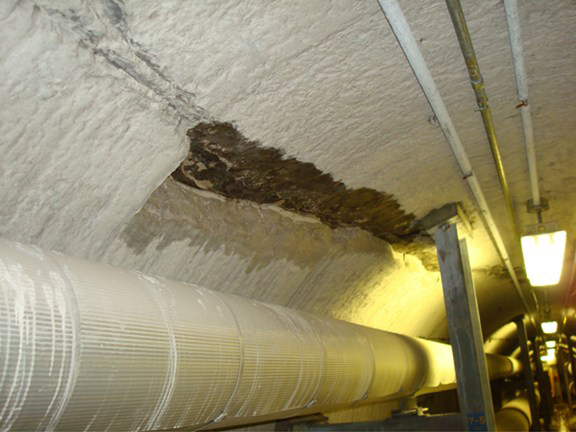 This water hardly ever accounts for more than an inch or so of water in the floor of the tunnel, however its seepage through the rock walls and ceiling has slowly deteriorated the rock. 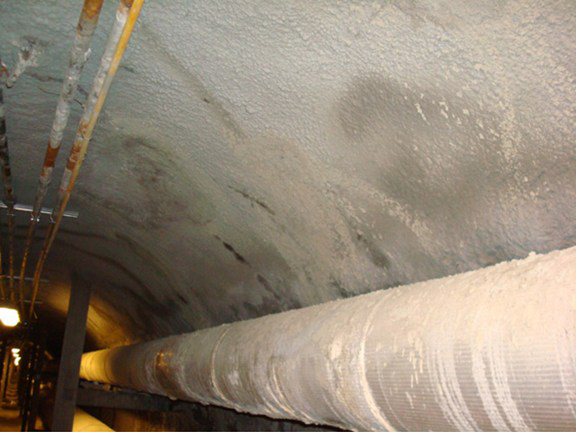 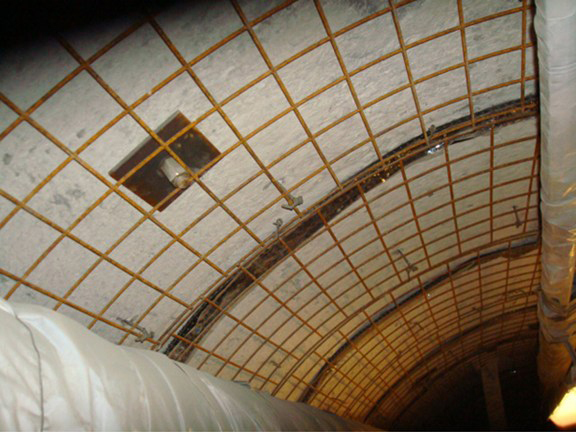 This has subsequently led to portions of the rock detaching from the tunnel walls and ceiling. 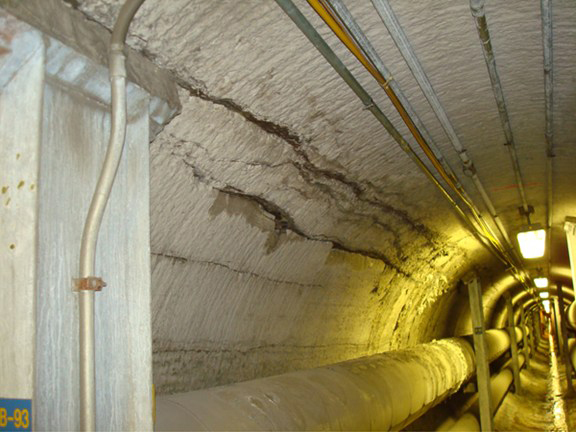 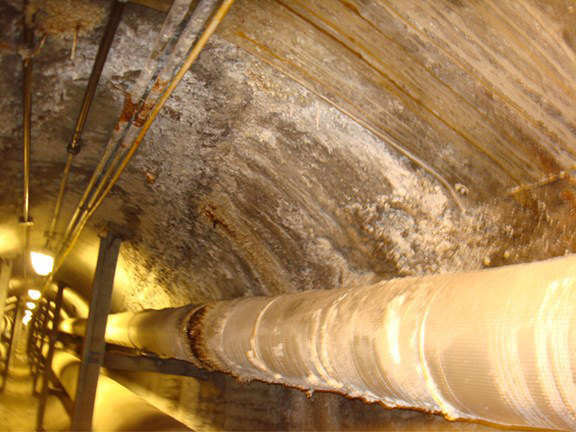 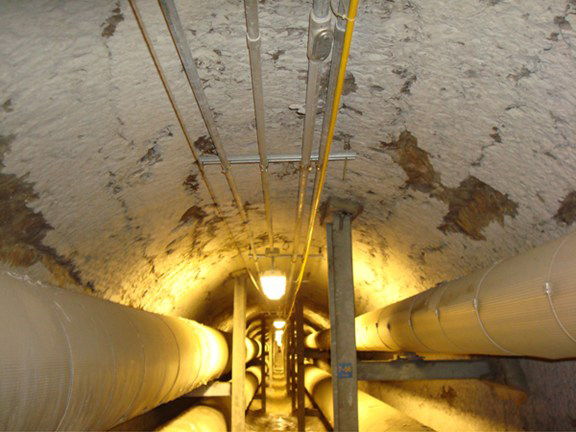 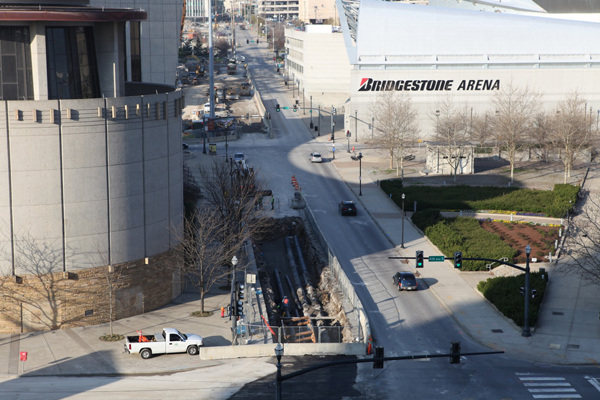 To fix this problem, MNDES hired a contractor to stabilize the worst tunnel sections. 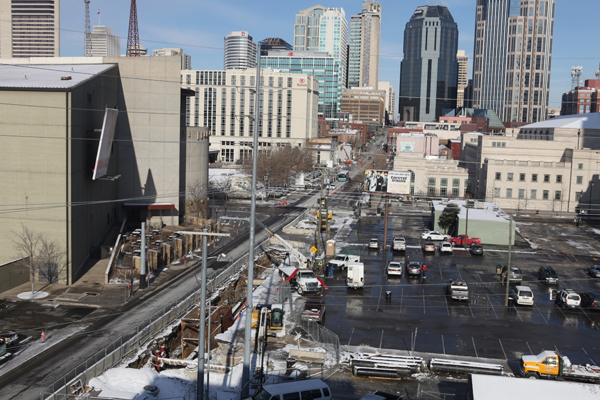 The Metro Nashville District Energy System (DES) will provide the heating and cooling for the new Music City Convention Center (MCCC). 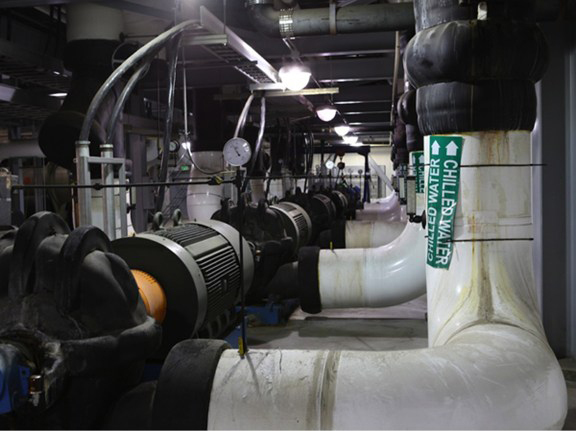 Steam and chilled water will be supplied to the DES mechanical room in the MCCC via a new pipeline extension. 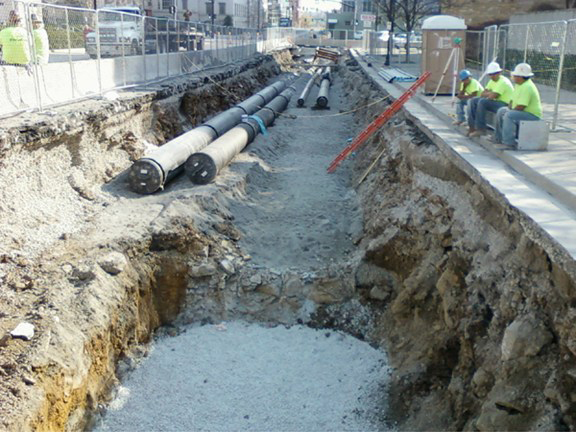 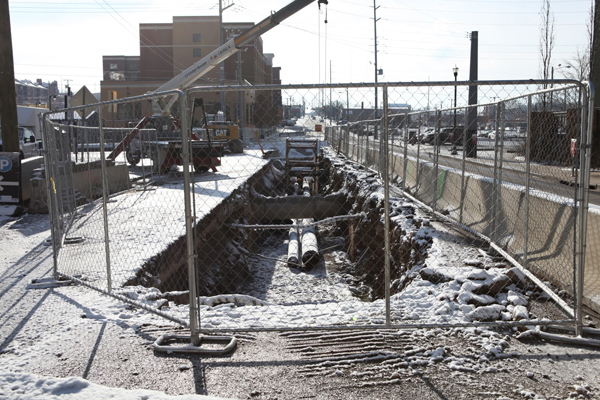 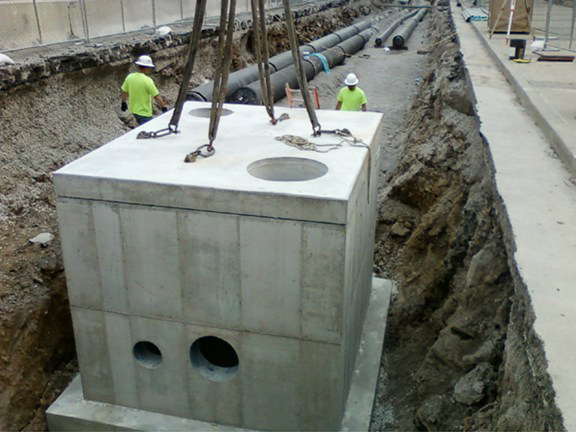 The new pipelines extend from the intersection of Molloy and Almond Streets and consist of: a steam supply and condensate return for heating, and a chilled water supply and return for cooling.